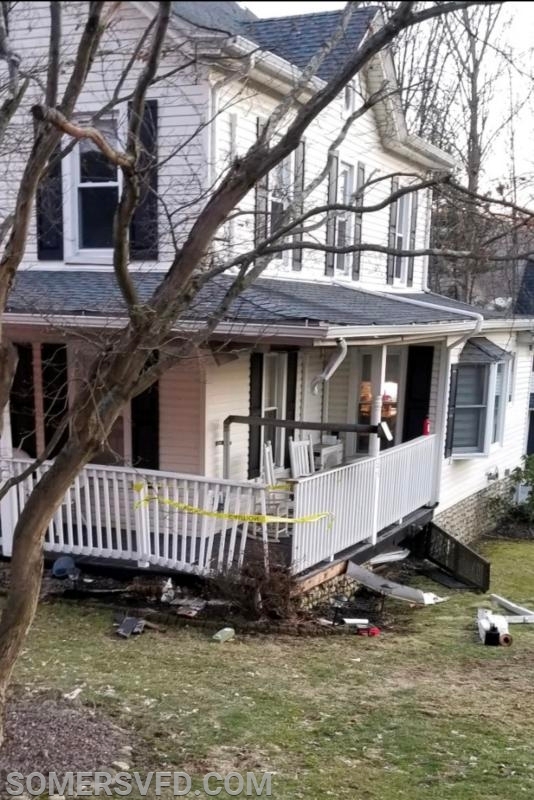 On Wednesday April 3rd 2019 the SVFD was dispatched to a residence on Route 202 in the area of Wilner road for a reported deck fire. Car 2442 arrived on scene two minutes later and reported smoke showing from the deck. Engine 185 arrived shortly later and stretched a hose line to start extinguishing the fire. Upon further investigation extension of the fire to the house was found and a signal 10-75 (Working Structure Fire) was transmitted. The 10-75 brings additional Somers and mutual aid resources from surrounding towns. SVFD members were able to quickly knock down the fire and all mutual aid was quickly cancelled. SVFD units operated for approximately 1 hour and there was minimal damage to the house.